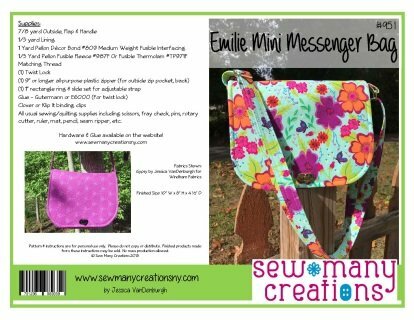 The Emilie Mini Messenger Bag is sized just right for everyday use. The flap covers an open front pocket while the back has a zippered pocket perfect for your cell phone. Requires 1" slide set and oval twist lock closure. Hardware & glue available on our Website!